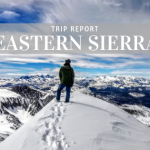 Come to Tahoe Mountain Sports in Truckee, California for all of your camping equipment rentals, we’re here to help you have a great time on your next wilderness adventure. We have 1 person tents, 2 person backpacking and car camping tents, and 4 person tents. 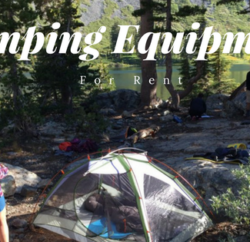 We can put together camping gear rental packages with everything including tents, backpacks, sleeping bags, sleeping pads, stoves, water filters, headlamps and bear boxes for your next group trip, family campout, reunion or other gathering. Nothing beats sleeping in a tent. Whether you pitch your tent in the backcountry or your backyard it’s always an adventure. We encourage you to get outdoors with your family and friends and experience the joy of sleeping close to the ground and under the stars. 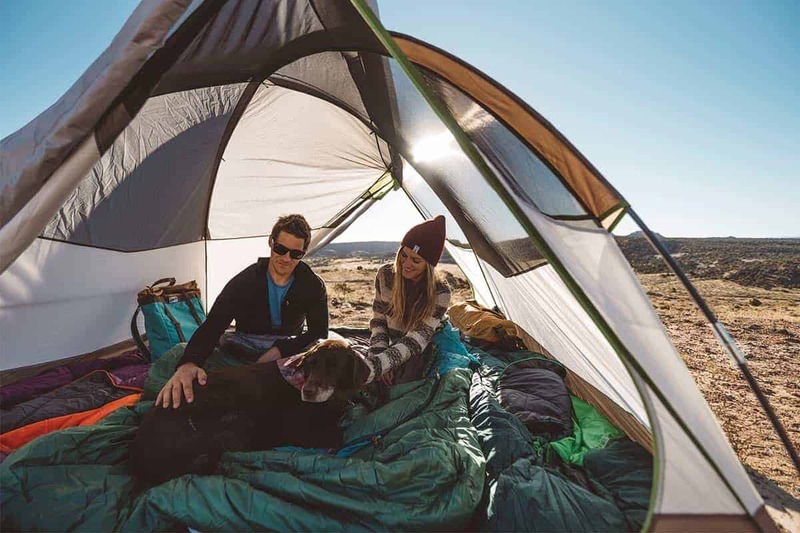 We rent camping gear and equipment, including tents, so you can have that experience with your family and friends without buying and storing all of the necessary gear. NEMO is founded on a commitment to adventure and creating innovative outdoor gear. We love their tents because they are made with environmentally friendly fabrics that are strong, durable and free of toxic fire retardants. The poles are lighter, stronger and consistently proven to be the best engineered tent poles on the market. Inside the tent is loaded with interior pockets for stowing and organizing your gear, plus there are Light Pockets that turn your headlamp into a cozy tent lantern. Lastly, they are ultralight and easy to set up! Check out what we have available to rent or to purchase. 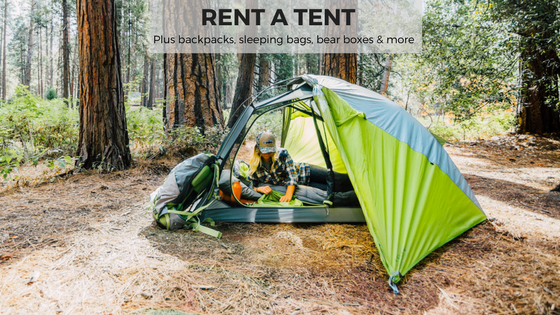 This tent is the lightest freestanding backpacking tent with two doors and two vestibles, offering the ultimate in livability and comfort for 2 people on the trail. Features include: Light Pockets, volumizing guylines, and Divy Sack, a dual-stage stuff sack that makes it easier to divide the load. Created with premium fabrics and hardware that shave off extra ounces to create an ultralight backpacking tent you will love. At less than 1.5 lbs, the Hornet Elite™ 1P offers the ultimate in livability and comfort among one-person ultralight backpacking tents. Here’s a video about the Nemo Hornet Tents. The Elite version that we have for rent and for sale is lighter and more durable than the regular Nemo Hornet Tent. The video is useful to see how easy this tent is to setup and check out the features which are similar to the Elite. We rent Kelty tents because they are reliable, quality tents that are easy to assemble and take down. They will protect you and your group from the elements including bugs, rain and wind. We clean, repair and keep our rental camping equipment in excellent condition so you can focus on your trip not your gear. This Kelty classic has been in the line-up for years and gets a new makeover for 2017. With its famed functionality in mind, the Gunnison is now even more user-friendly and comfortable. Easy-to-use Kelty Connect pole connections create a hassle-free setup and the roll-top cube carry bag makes it easy to pack. Features include a foot print and dual-zipper vestibule which doubles as an awning when trekking poles are in the mix. In addition to its new look, the Gunnison comes with a little more head and shoulder room. This tent is lightweight and ready for your next backpacking trip! 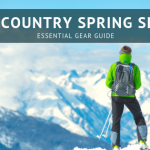 Click here to see all the details on how easy it is to set up and take down the Kelty Gunnison. 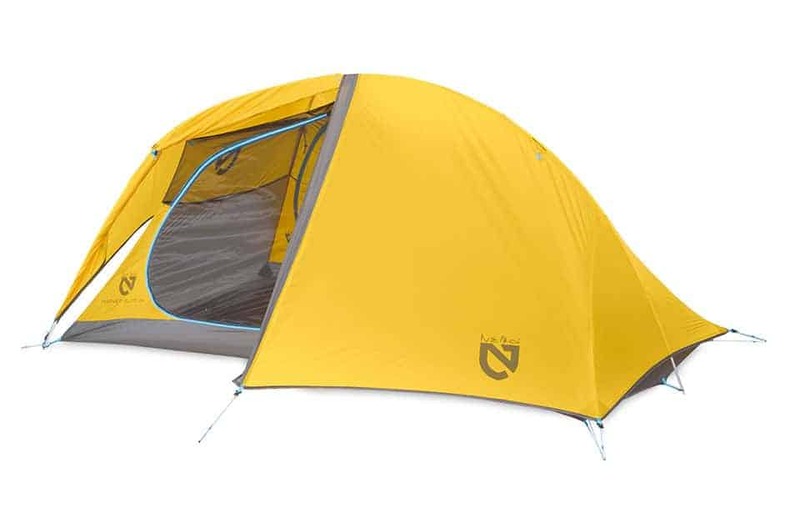 This tent has a 3-pole design that provides more head and shoulder room, and the continuous pole sleeve design is built to make pitching it a breeze. Two doors and two vestibules make entry/exit a piece of cake…since we all know what its like having to climb over your fellow companions as they try to catch valuable Z’s. Added features include the Stargazing Fly, so you can enjoy those beautifully clear nights to the fullest, night light pockets, taped floor seams, no-see-um mesh wall panels and internal pockets. This tent is great for all of your car camping adventures! Need a 4 person family tent for you camping or backpacking trip? We’ve got you covered! The Kelty Acadia 4 Person Tent is great for backpacking or car camping. It has 2 doors for easy entry or exit. Attached are 2 storage vestibules that let you keep excess or wet gear out of the way. The full coverage fly extends all the way down the tent and shields you from even the worst weather. The all mesh body is great for ventilation or stargazing. Set up is extra quick with all clip construction. Check out this video for all the details on the Kelty Acadia Tents and see how easy they will be to set up on your camping trip. You can rent a tent for $25 – $35/day. 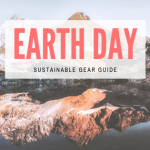 Renting camping gear is an affordable way to see the outdoors and experience nature without investing in all of the equipment if you don’t plan to use it often. 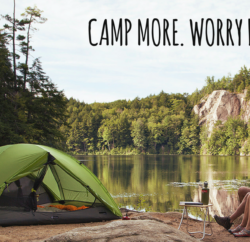 Check out our rental page and rent everything you need for your next camping trip. Click here to Rent a Tent or other camping gear and backpacking equipment. We are here to help you get outside and enjoy the outdoors! Let us know your camping plans in the comments below.